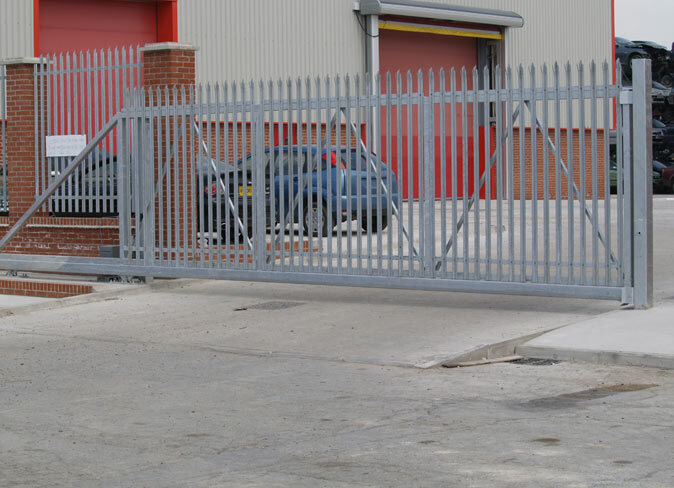 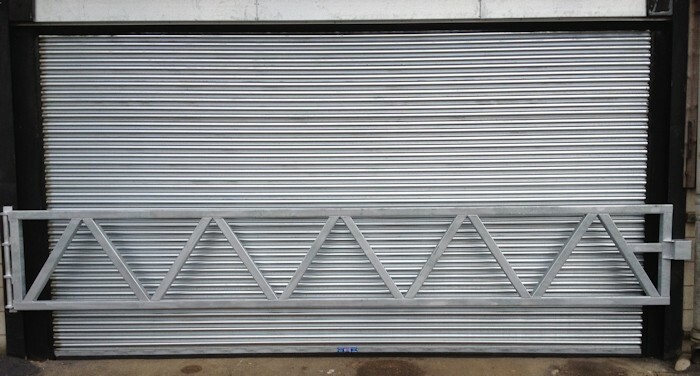 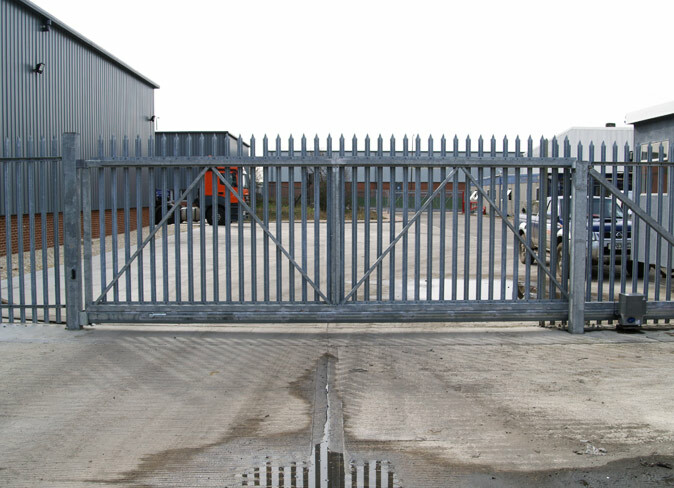 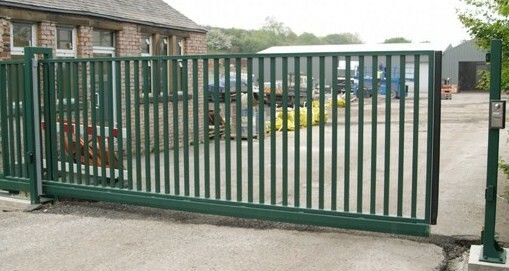 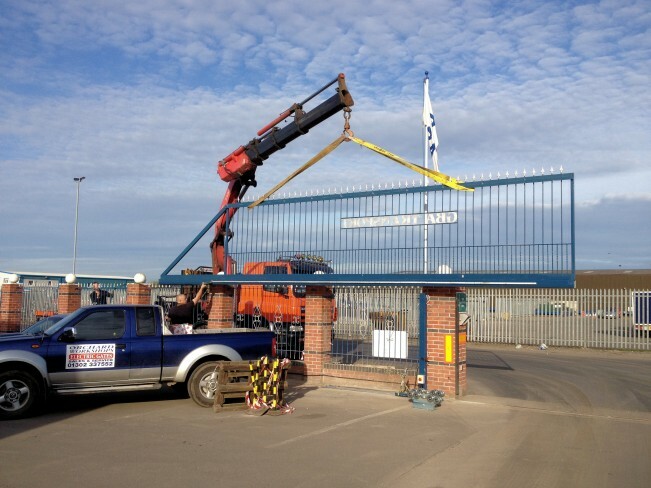 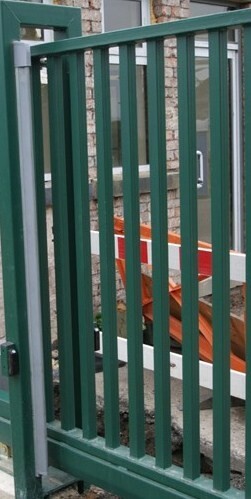 ﻿ Orchard Workshops Electric Gates Gallery, South Yorkshire - Automated Remote Control Gates Fitted and Repaired. 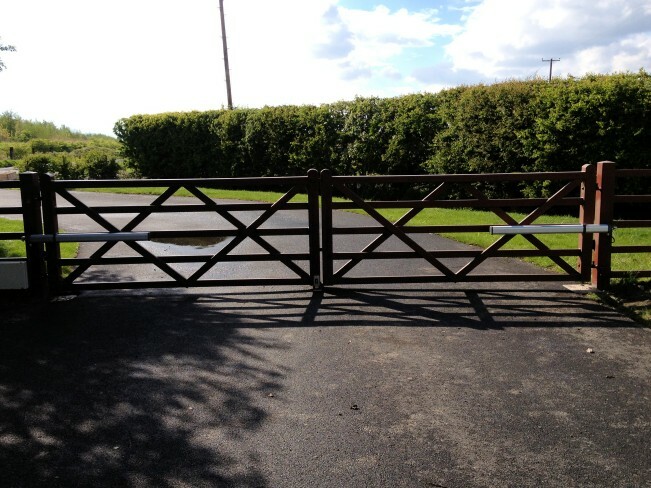 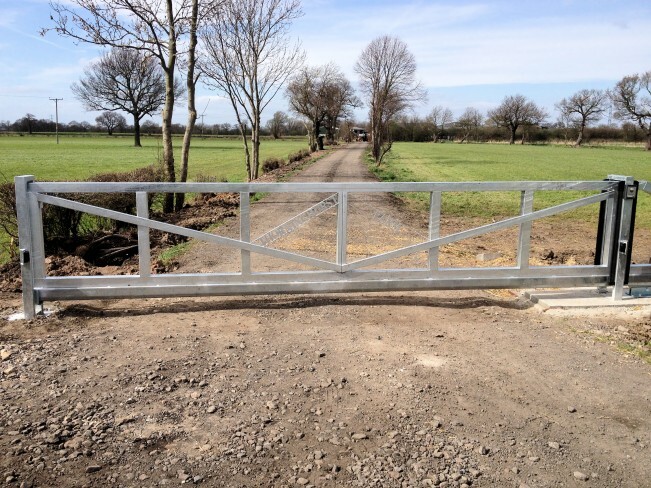 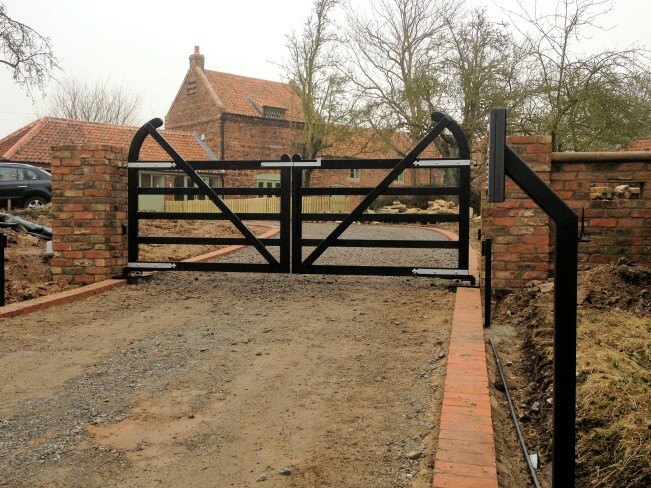 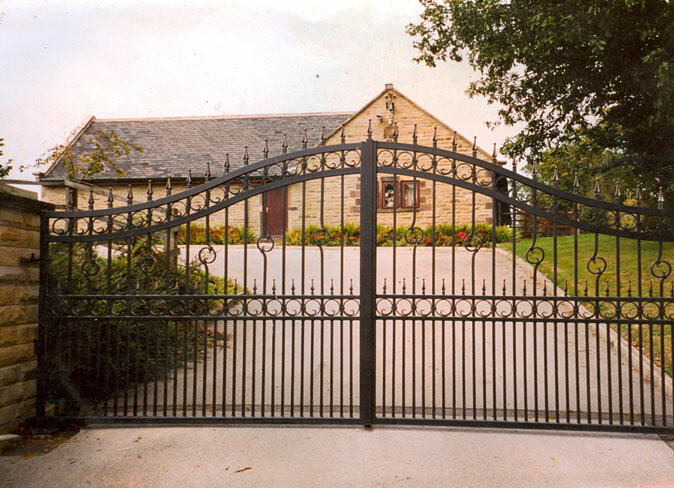 Gate 32 Remote control Five bar Farm Gate With Hockey Stick Top Fabricated in Steel With GSM Intercom Firbeck, South Yorkshire. 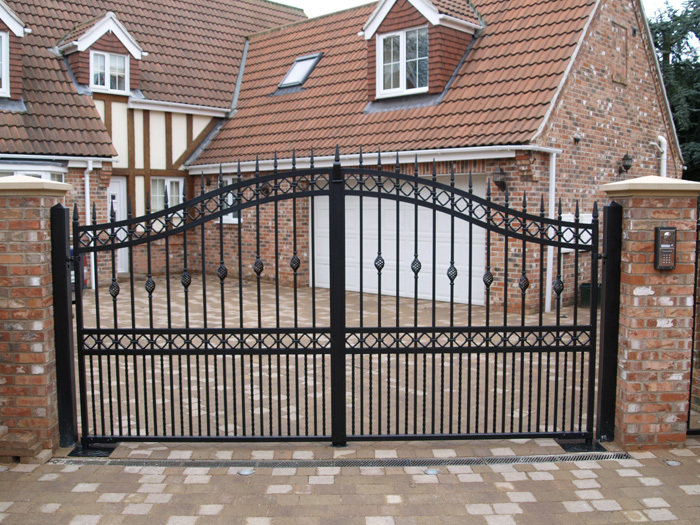 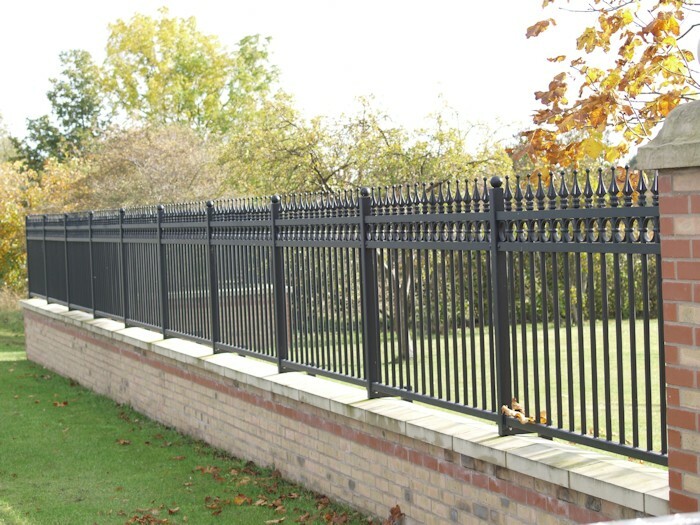 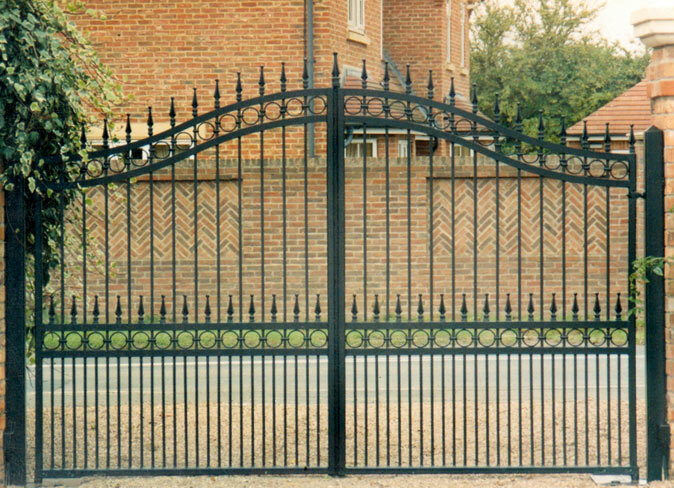 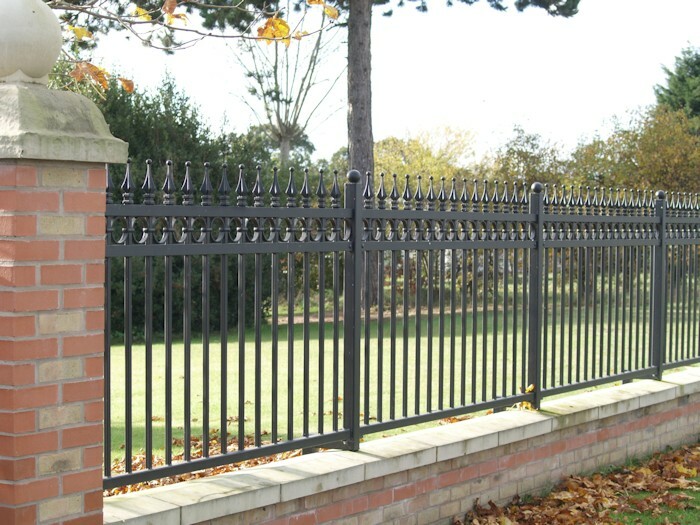 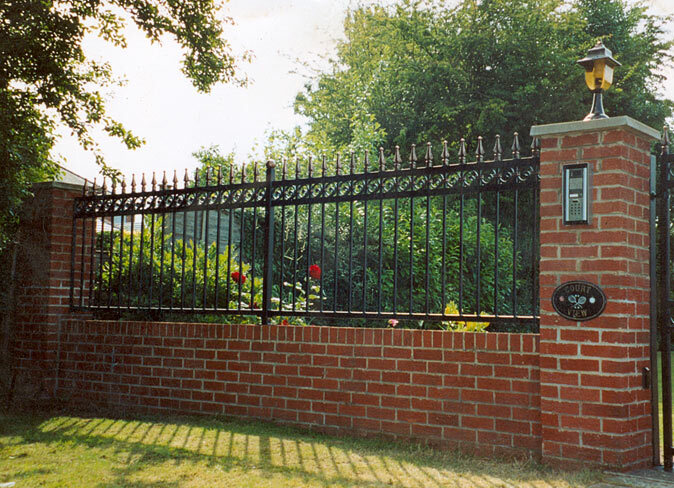 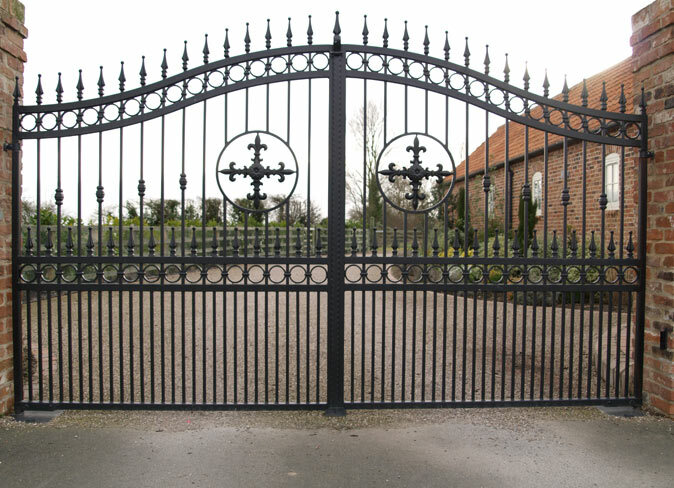 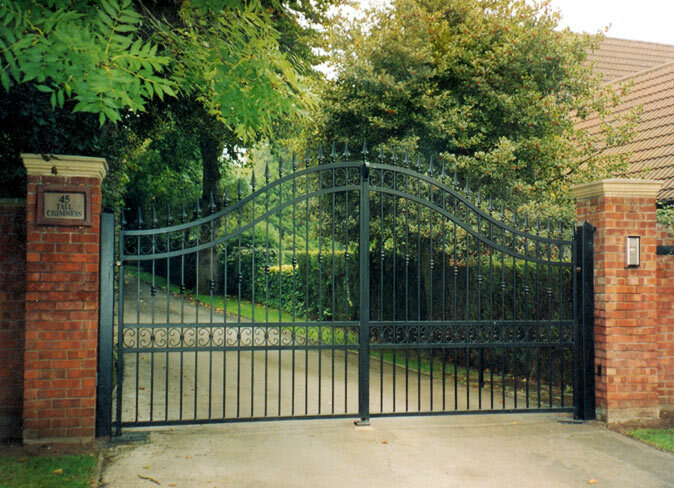 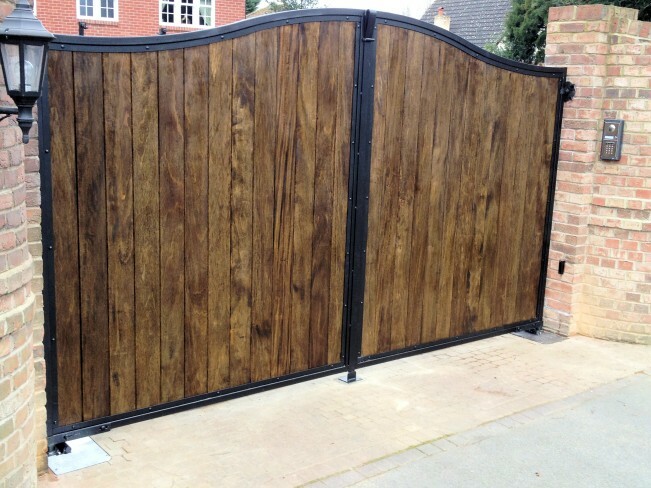 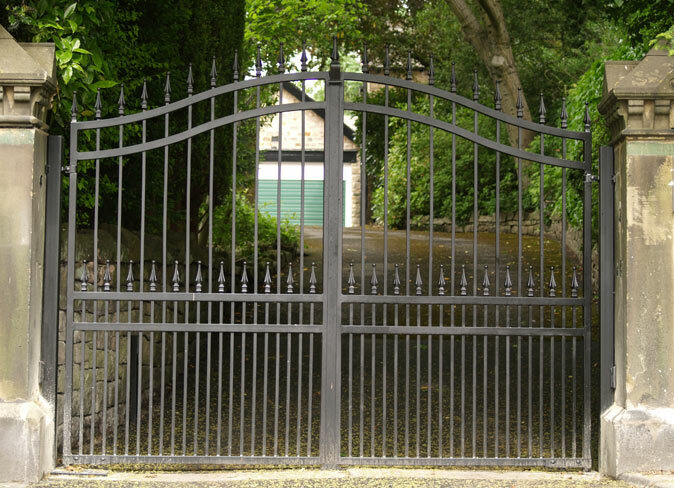 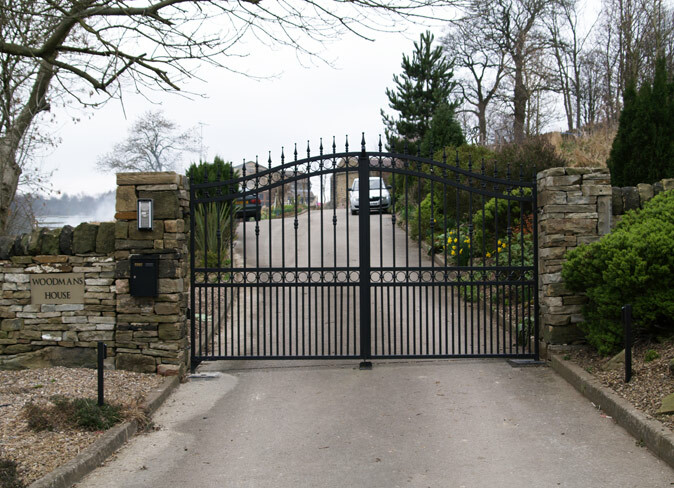 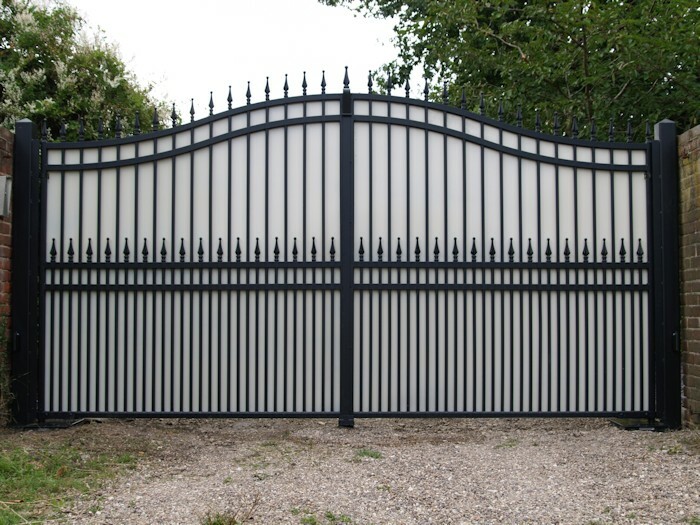 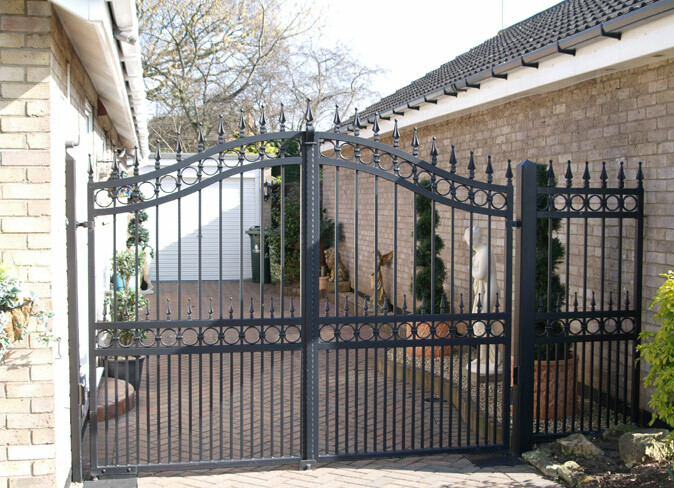 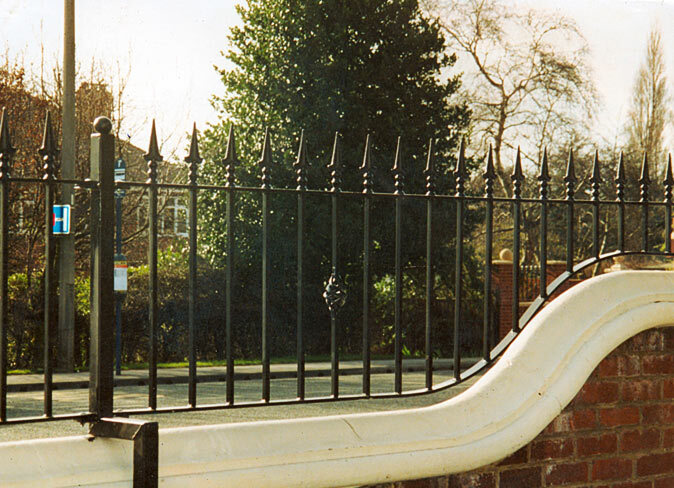 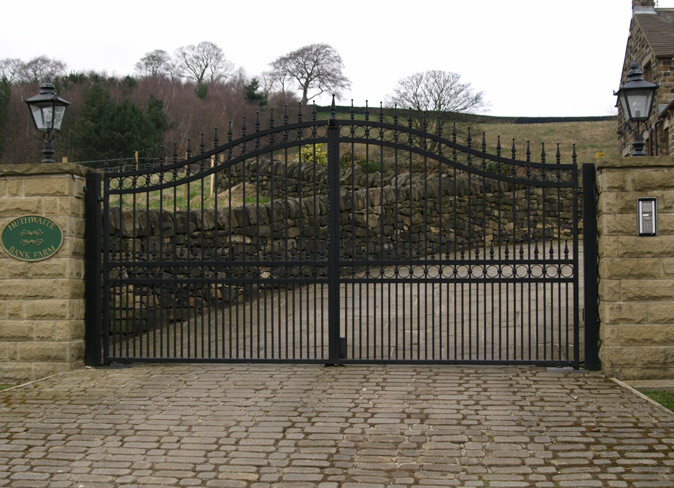 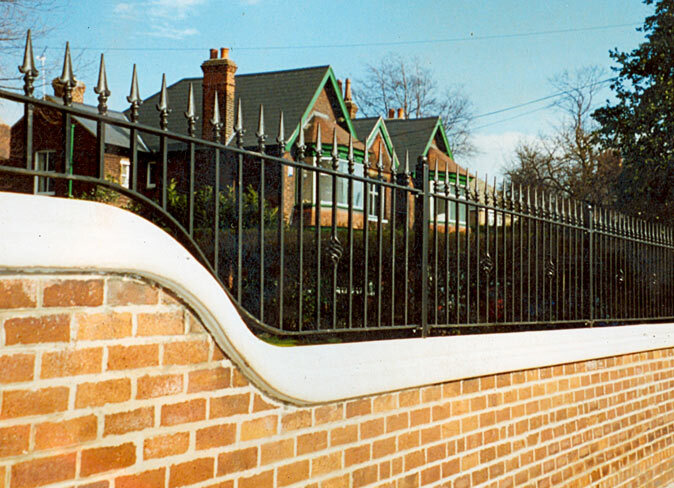 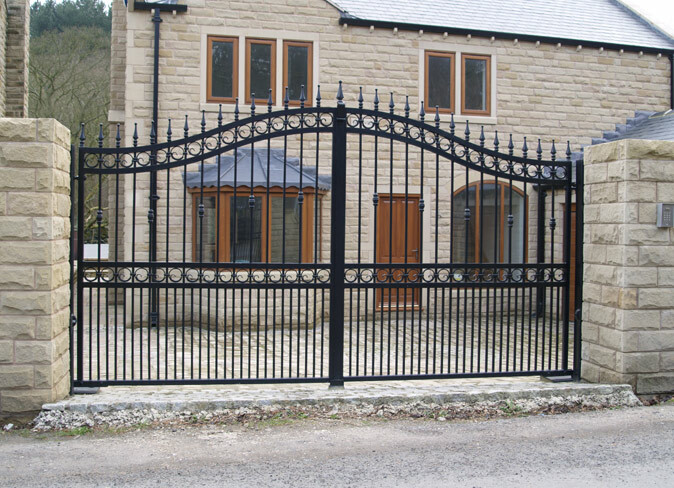 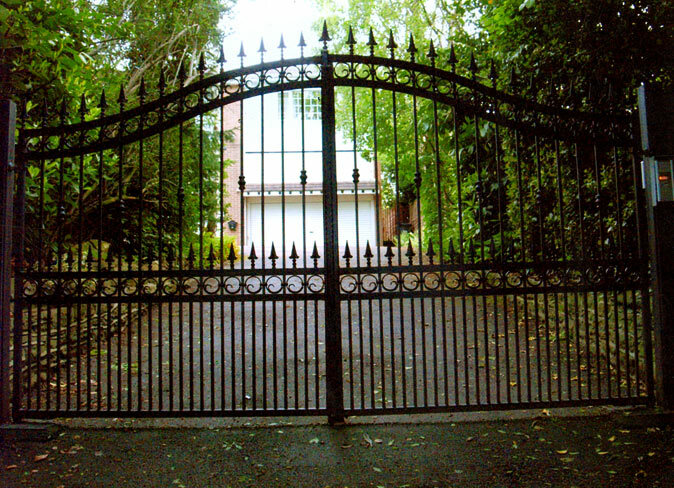 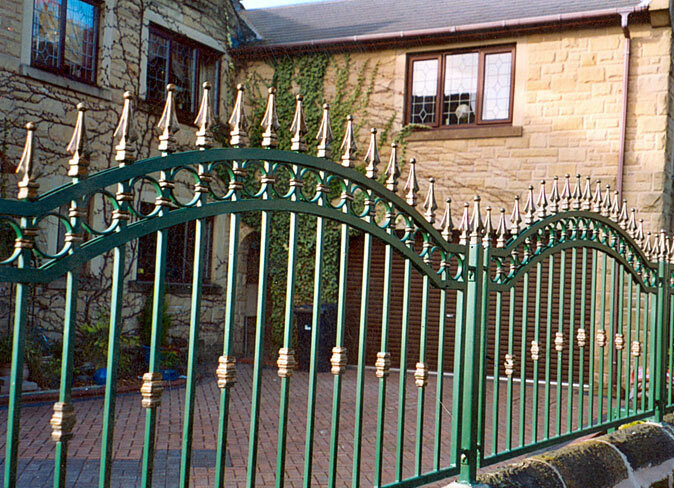 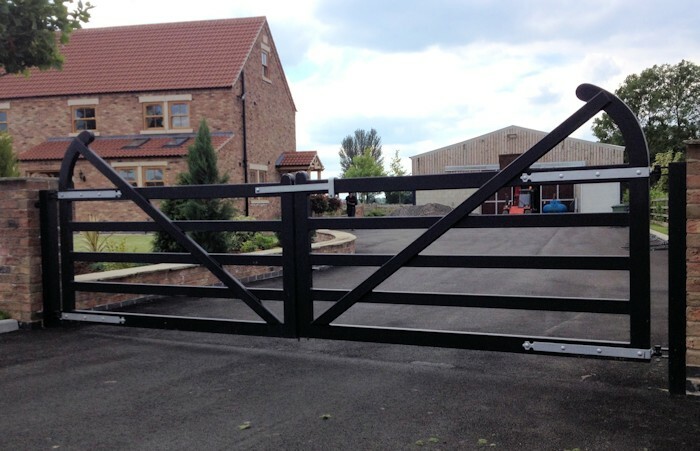 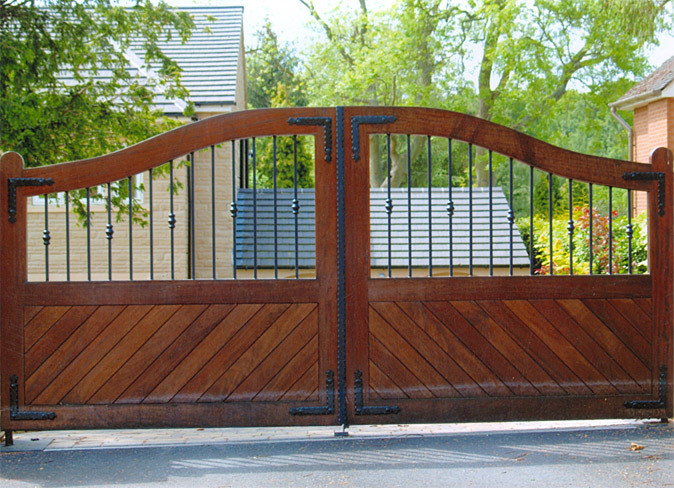 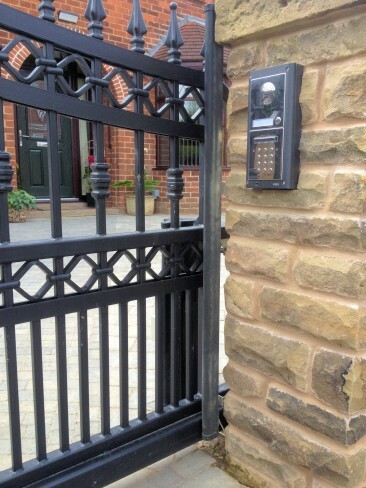 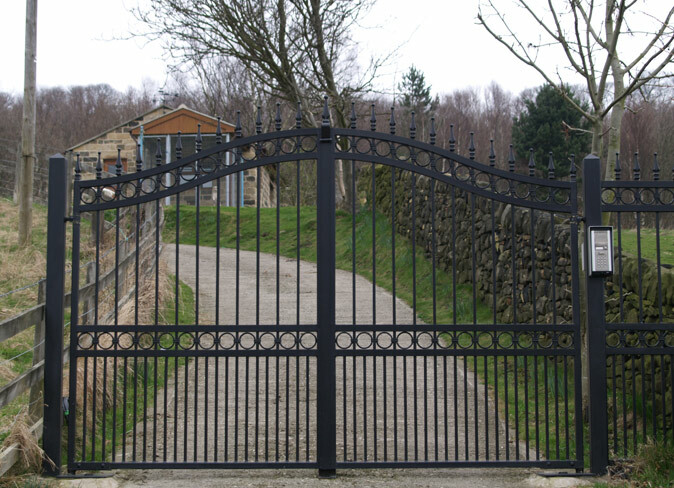 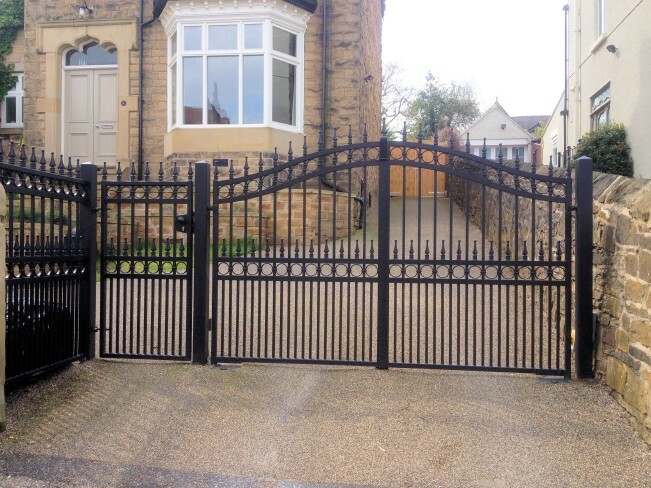 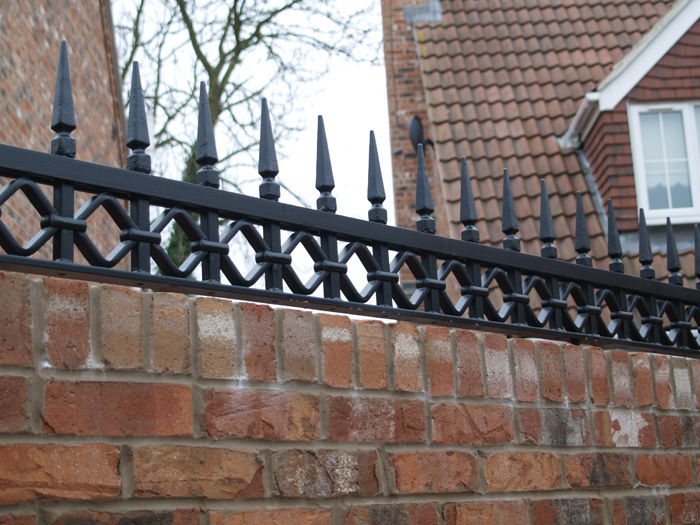 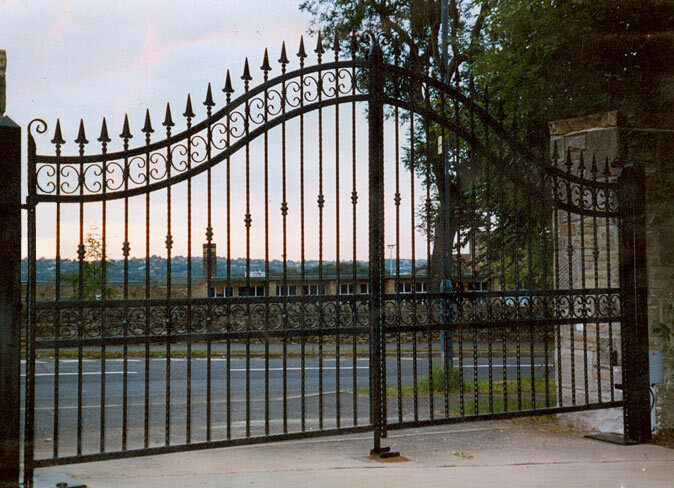 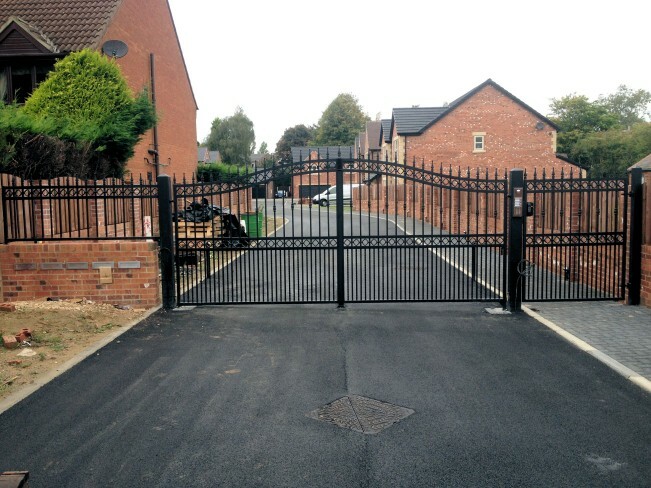 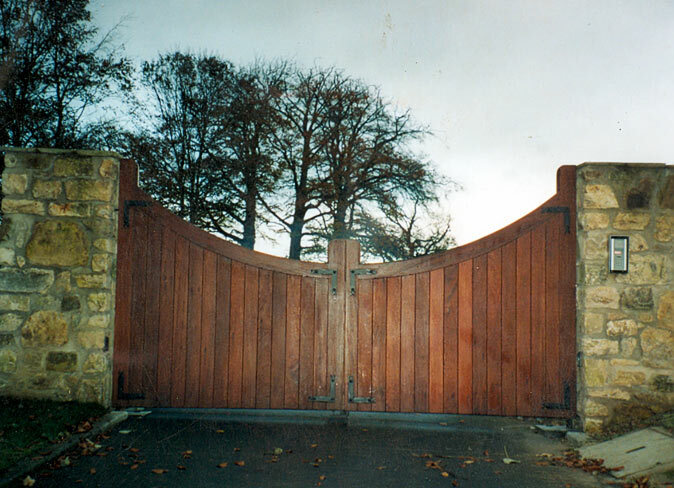 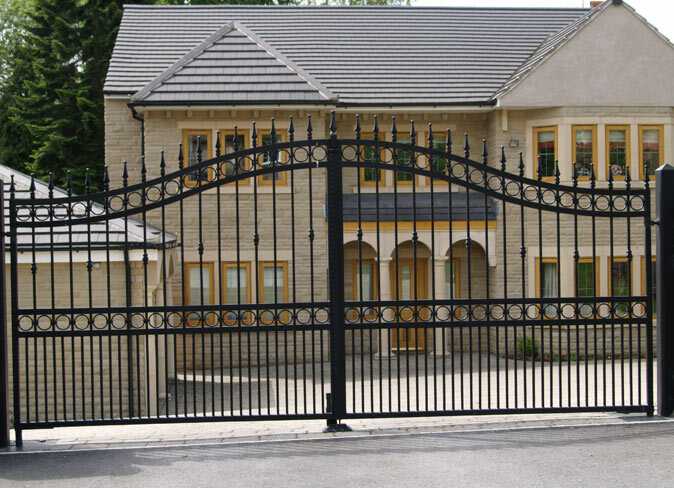 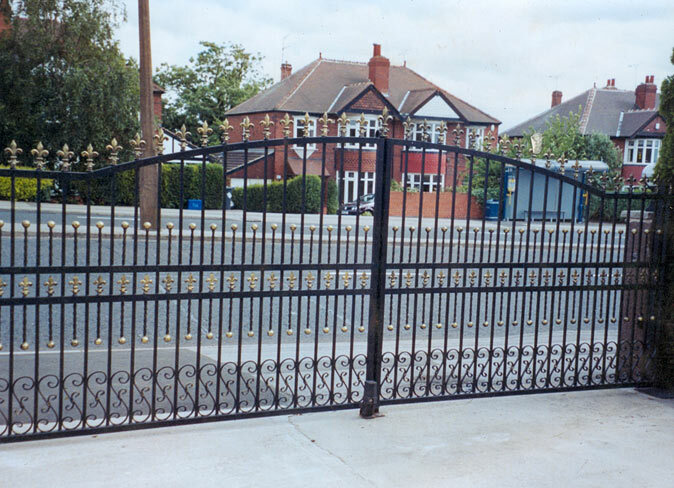 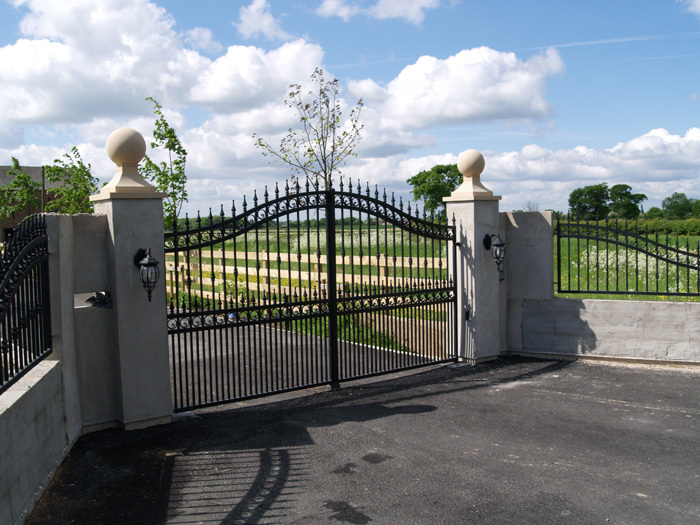 Gate 41 Distinctive wrought iron automated gate on underground hydraulic gate motors, with vertical saftey edges and GSM intercom. 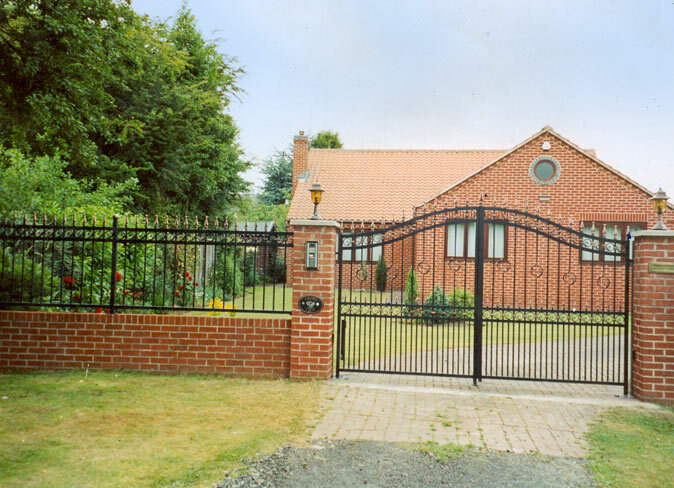 Shaftholme, Doncaster. 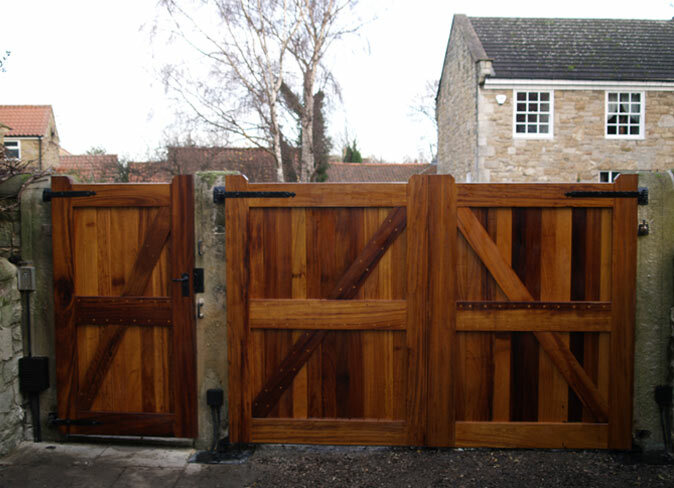 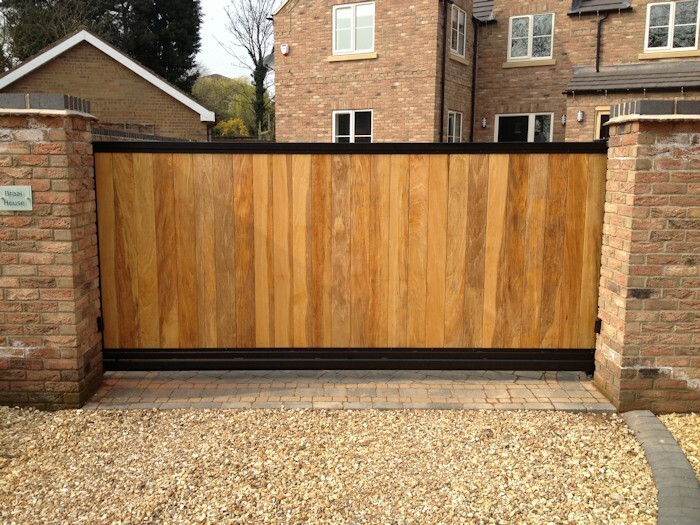 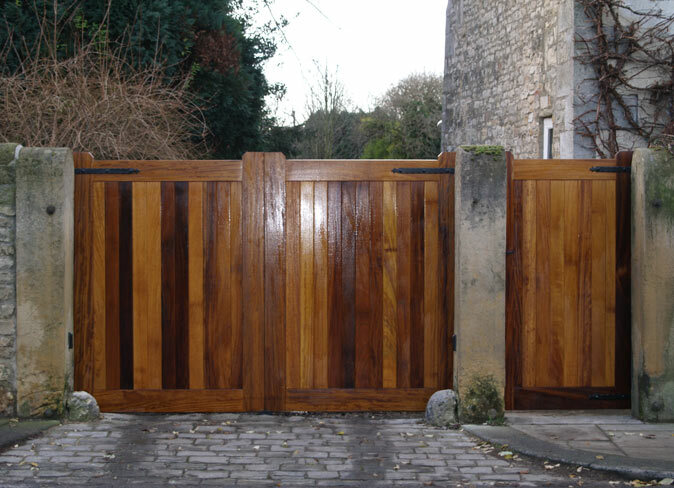 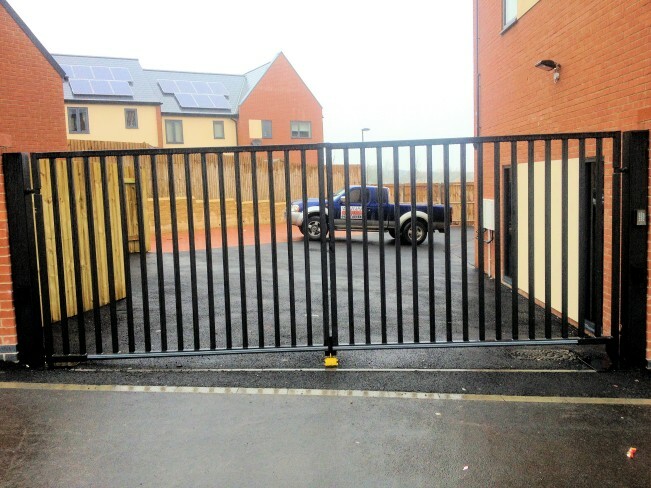 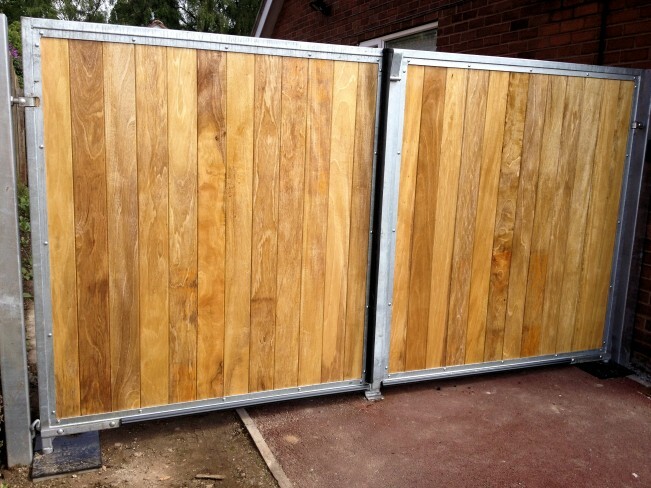 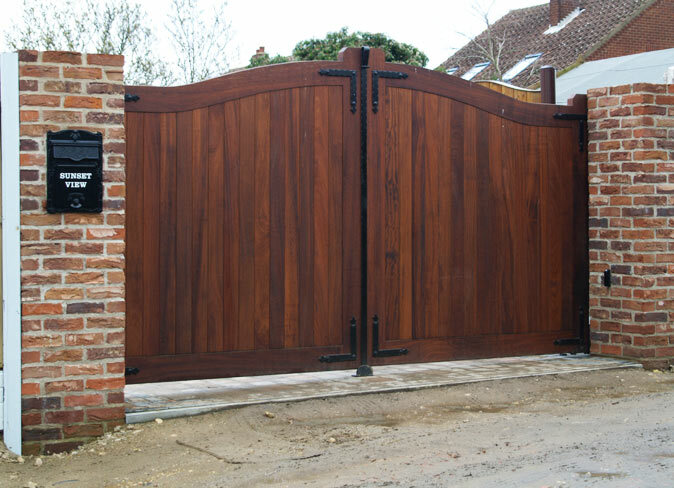 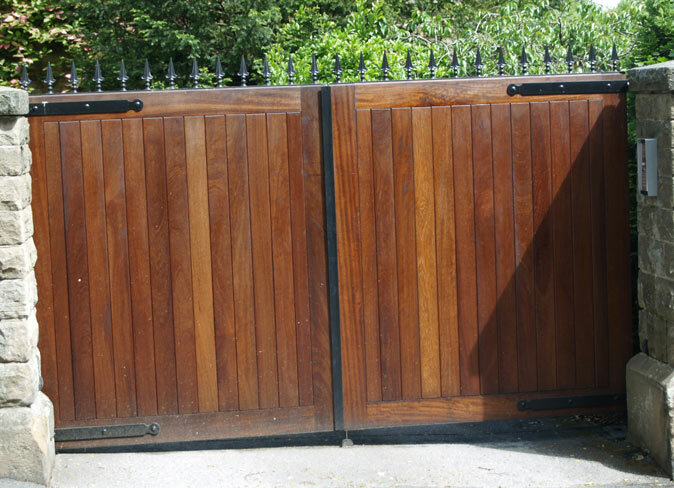 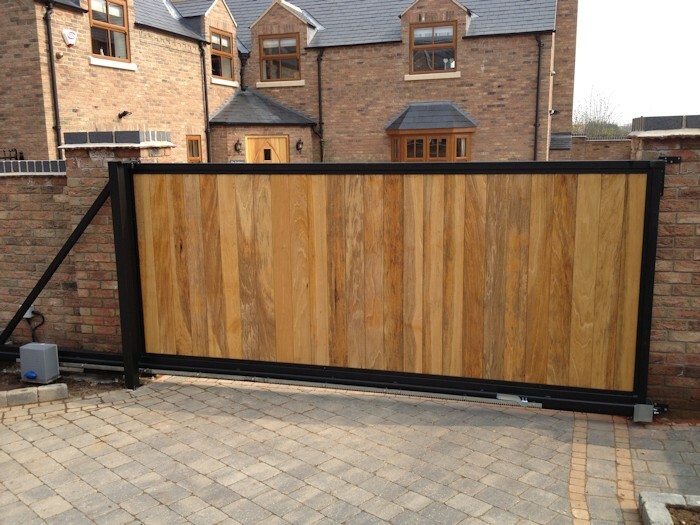 T17 Hardwood timber automated gate with galvanised seel frame. 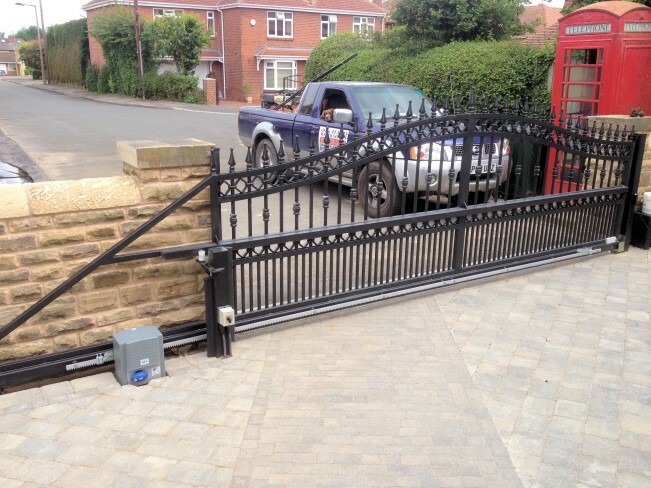 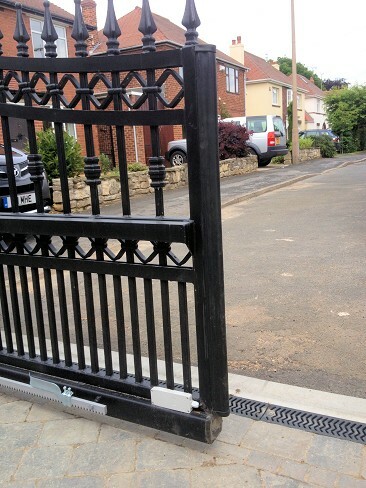 Underground hydraulic gate automation system and vertical safety edge, outward opening. 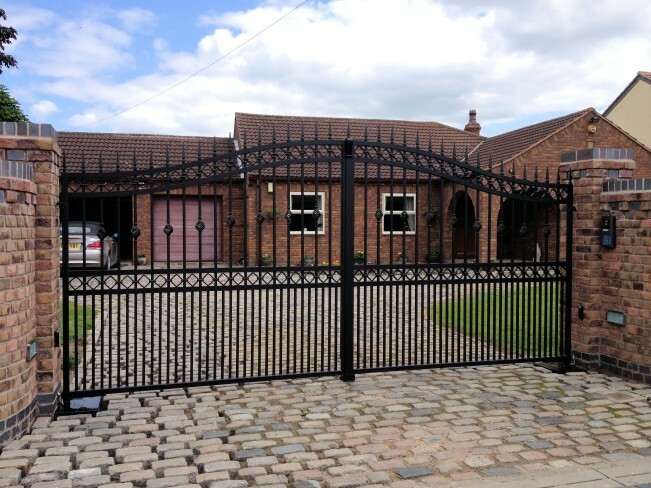 Bawtry Doncaster. 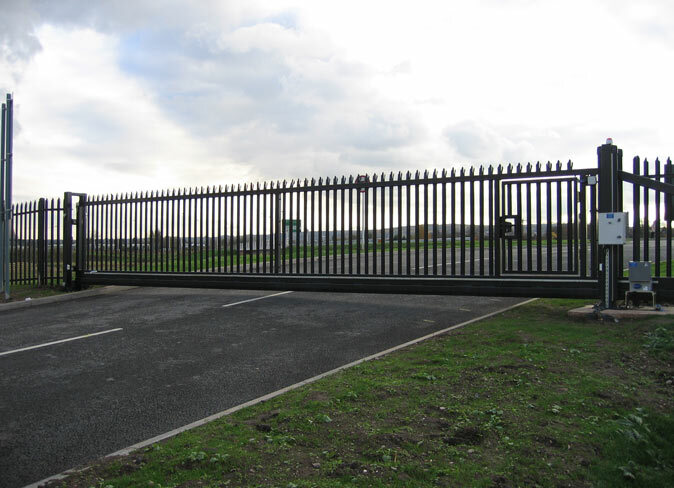 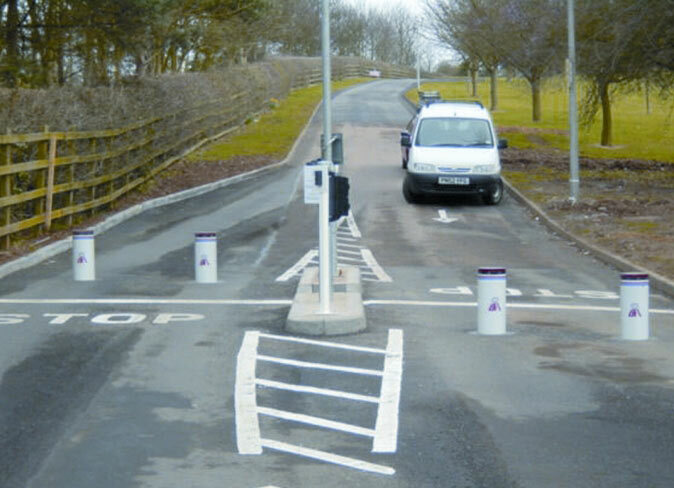 Gate C3 Commercial Anti-Ram Barrier, Firbeck, South Yorkshire. 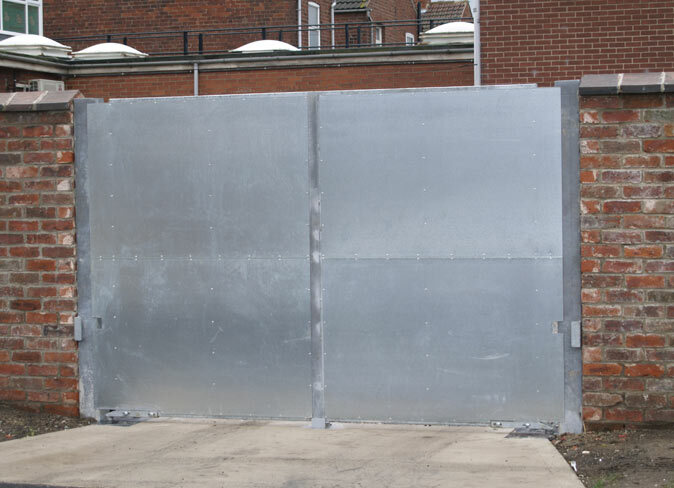 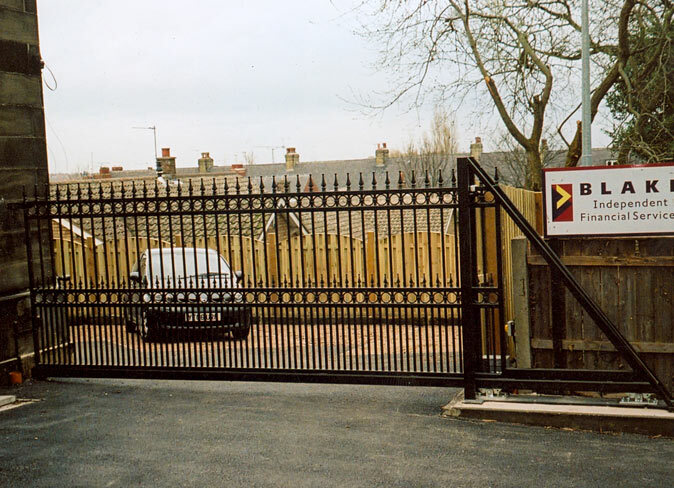 C13 Commercial automated gate on underground hydraulic gate motors with horizontal and vertical saftey edges and a electronic gate lock. 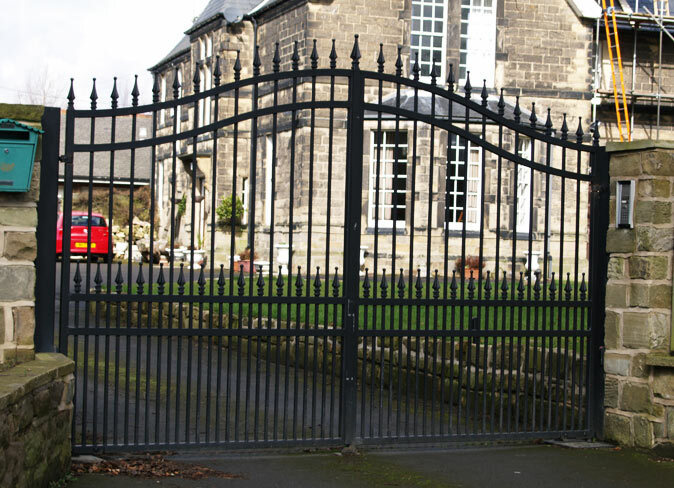 Sheffield South Yorkshire. 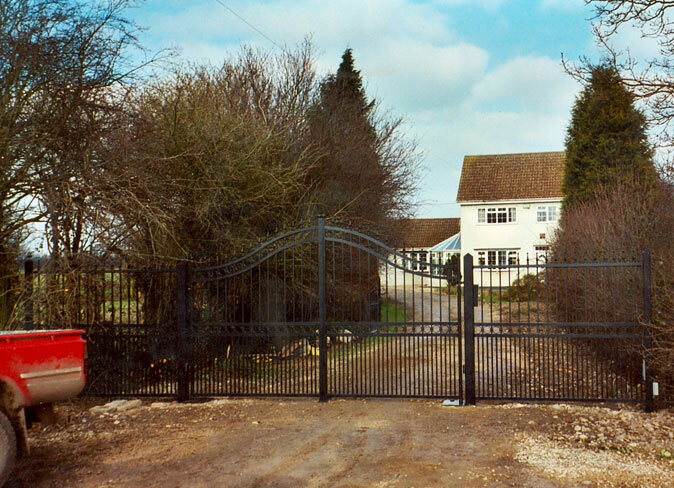 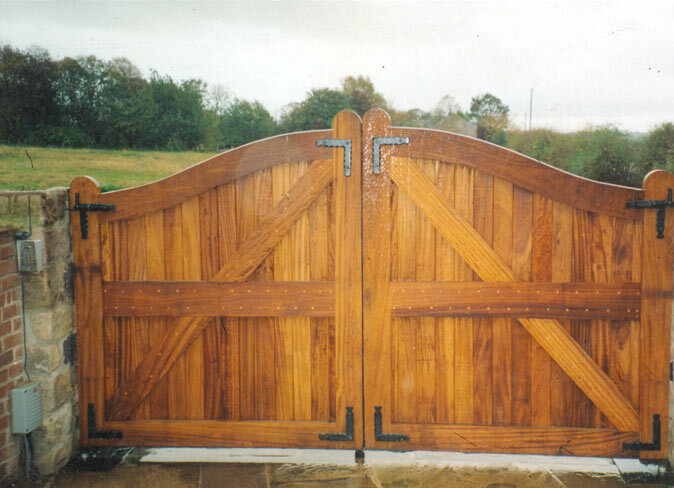 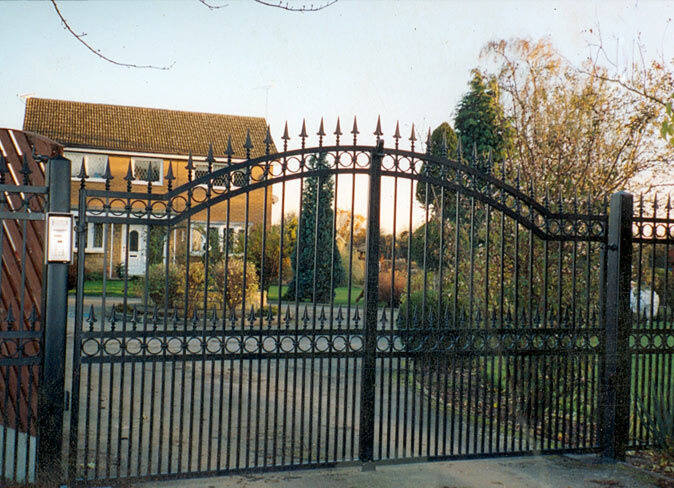 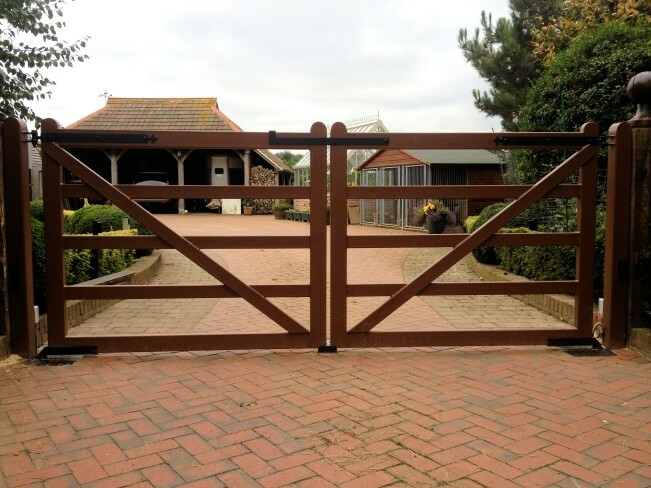 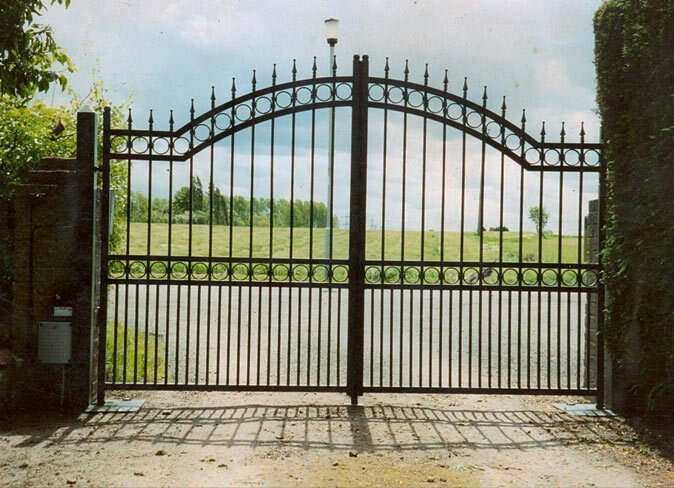 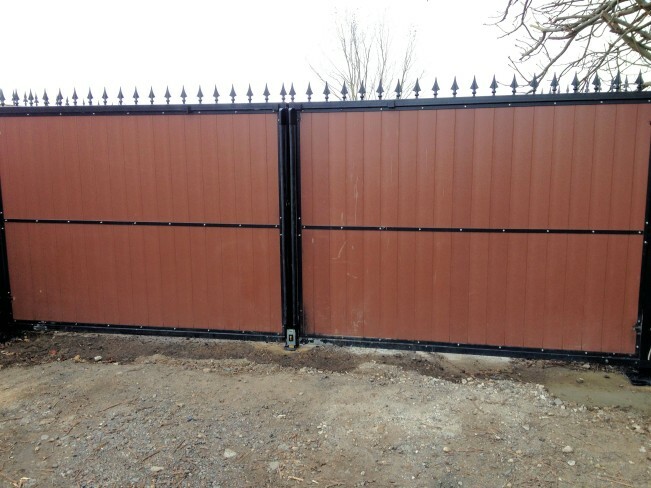 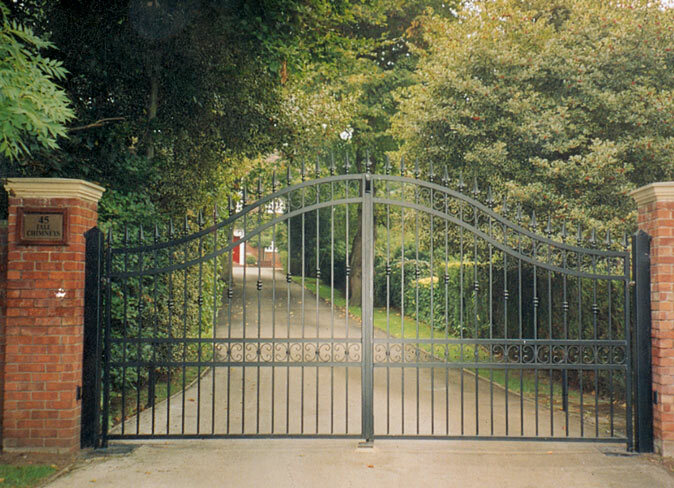 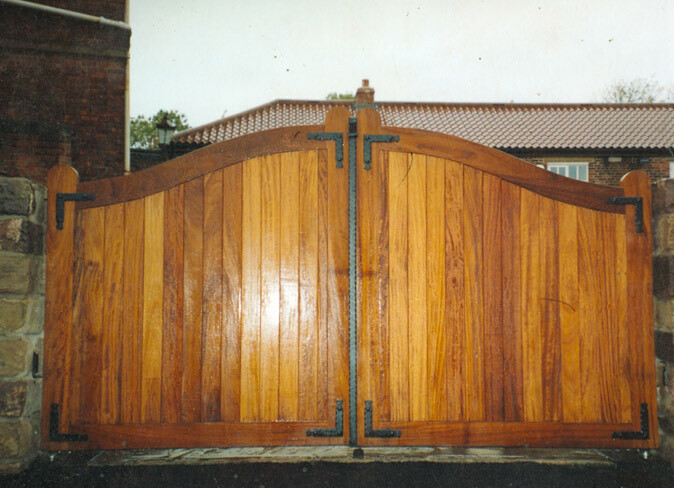 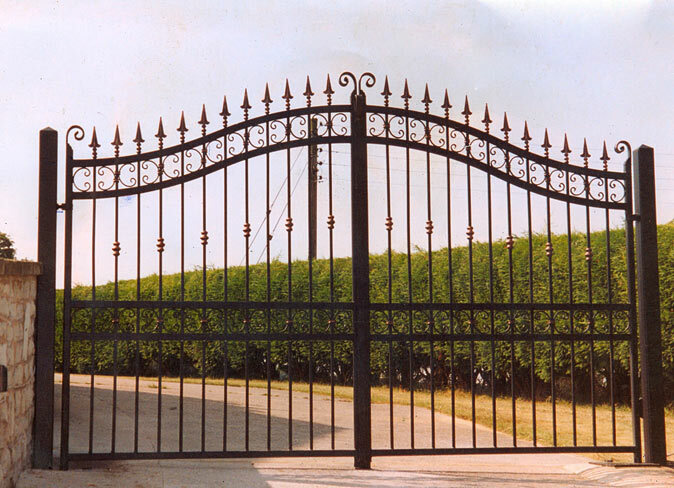 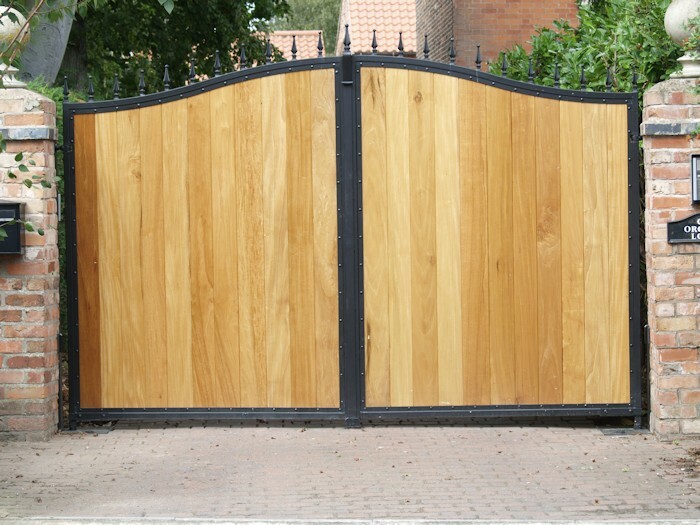 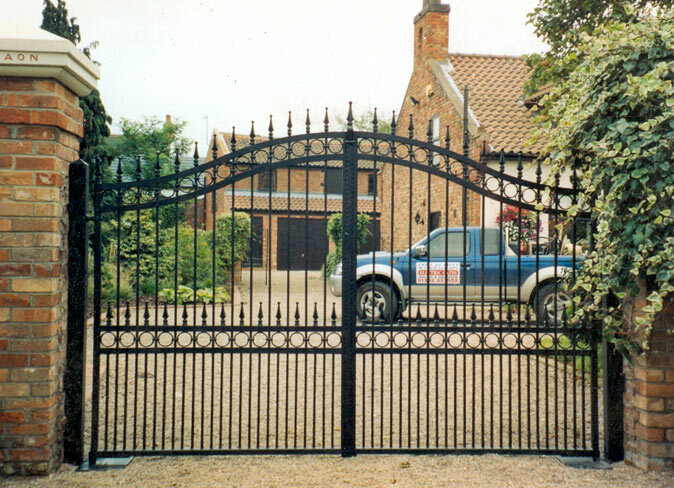 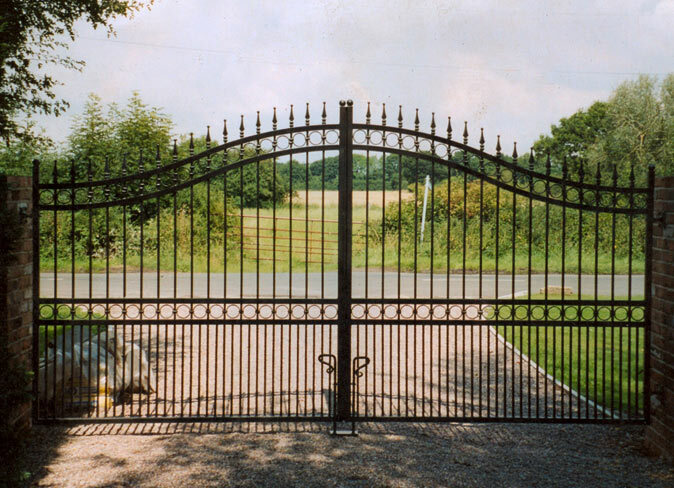 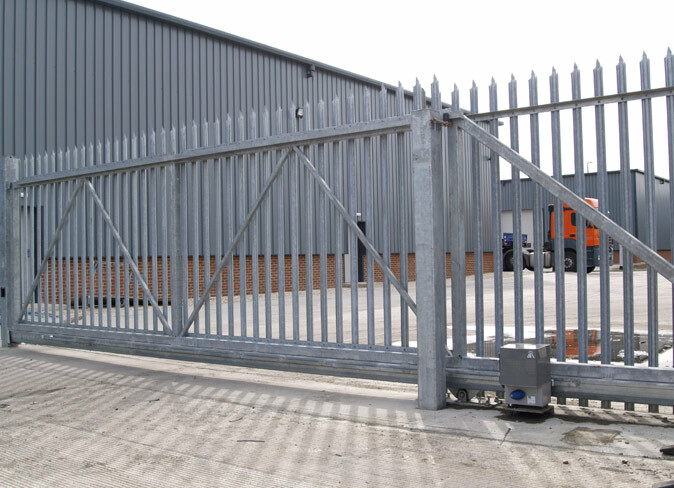 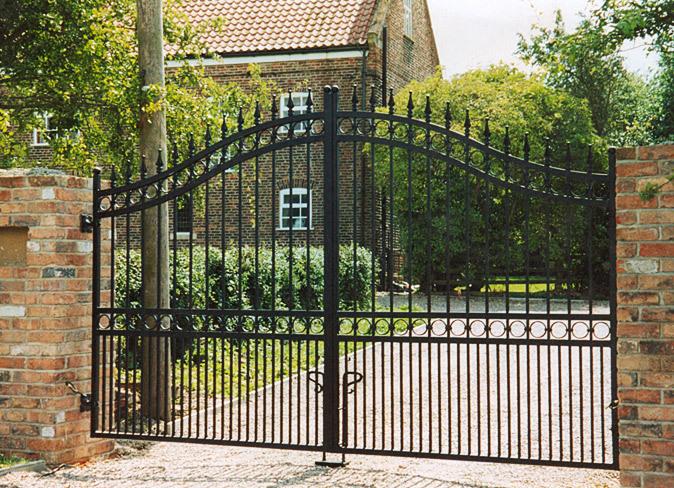 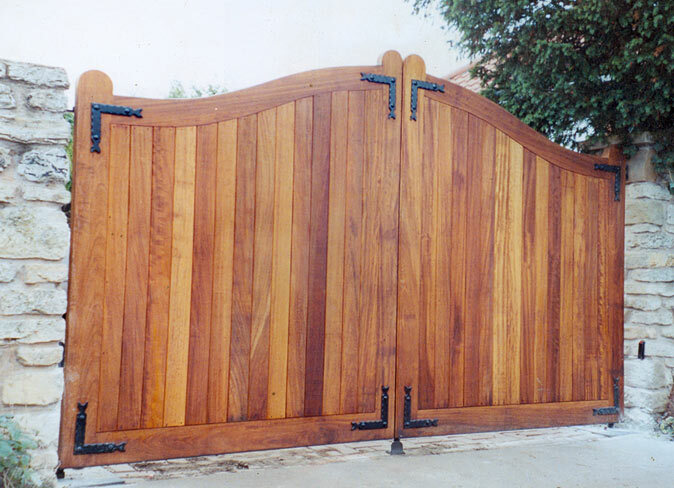 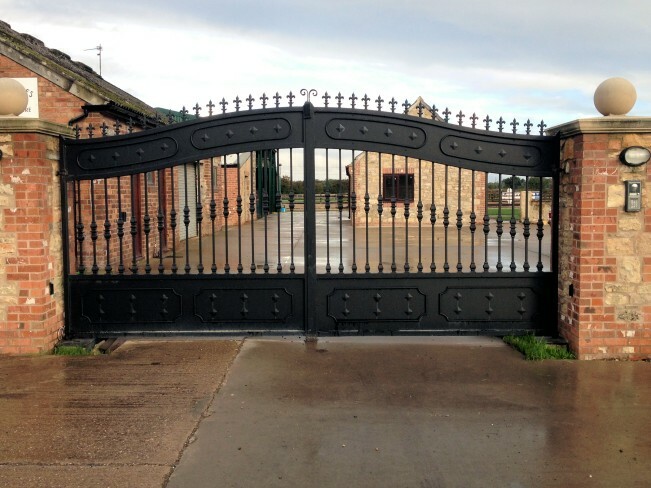 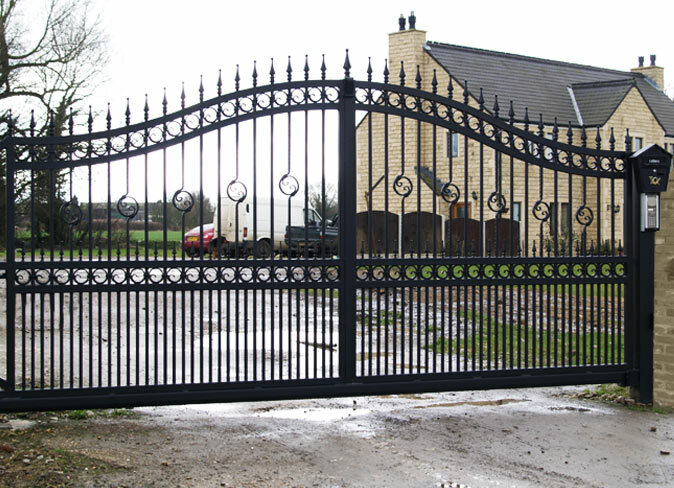 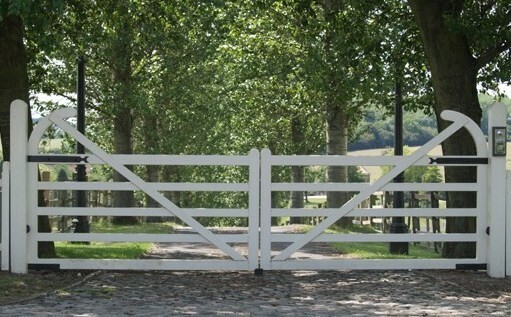 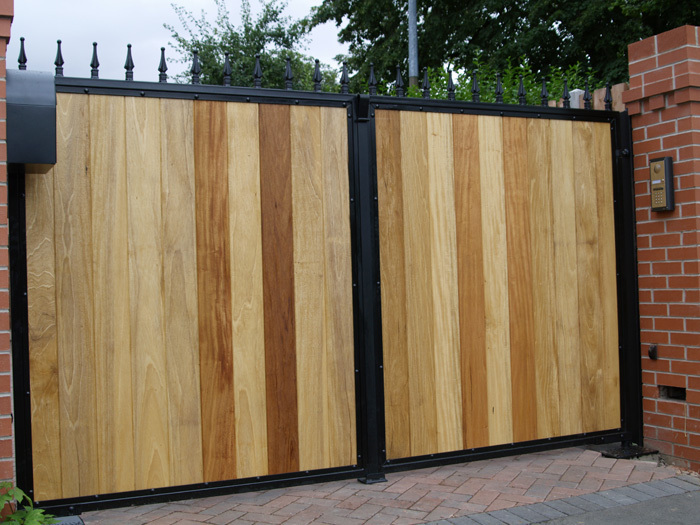 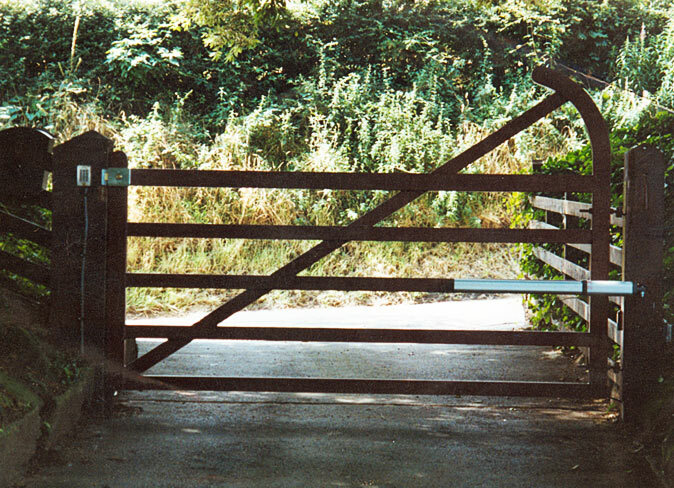 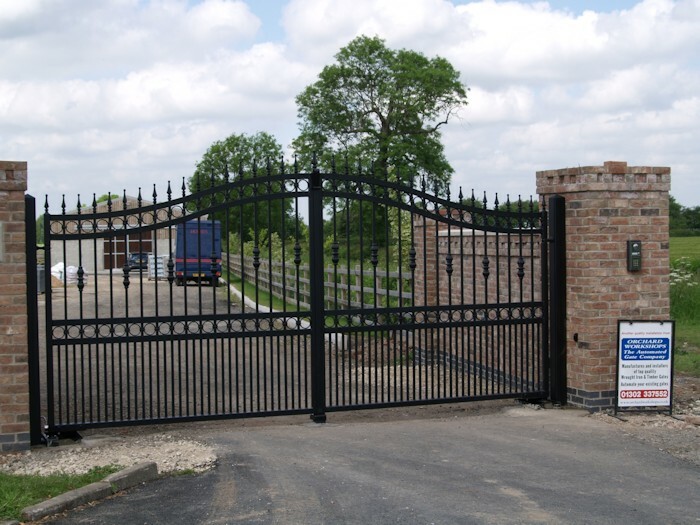 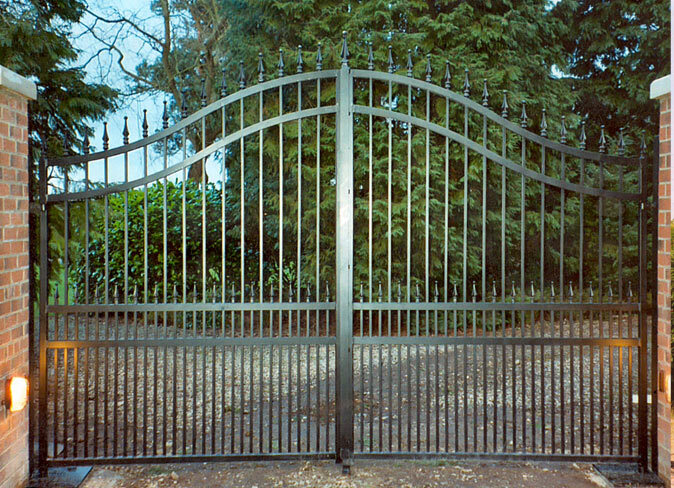 Orchard Workshops manufacture bespoke custom gates and install high quality fully automated gate systems. 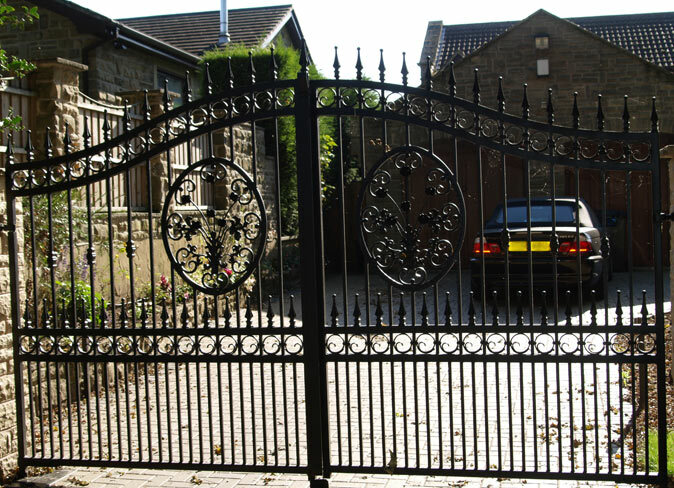 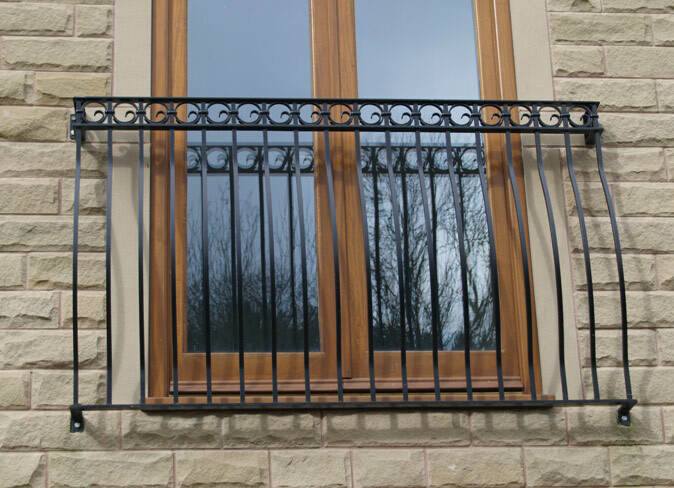 Based in Doncaster we cover most of the South Yorkshire area including Barnsley, Doncaster, Rotherham, and Sheffield.